With the help of my super-supportive wife, we managed to finally get the first set of 20 iPods unboxed and into Cart2D2 for charging. 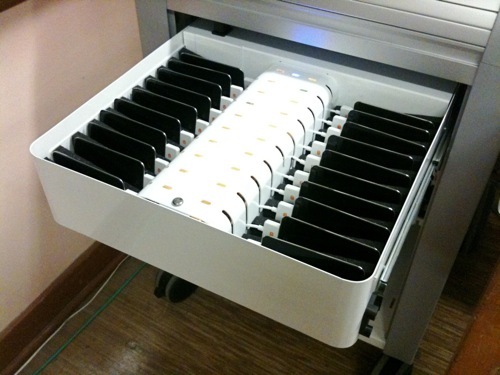 I love the look of the LED lights in the drawer while charging. On the other hand, the look of 20 devices in iTunes for syncing is a little intimidating. I’m not looking forward to upgrading 20 devices to iOS 4.2.